Roy Lichtenstein was a leading figure in the Pop Art movement, along with Andy Warhol, Jasper Johns, and James Rosenquist. Pop Art challenged the traditions of fine art, borrowing imagery from popular culture, mass production, and advertising to ironically represent a culture. 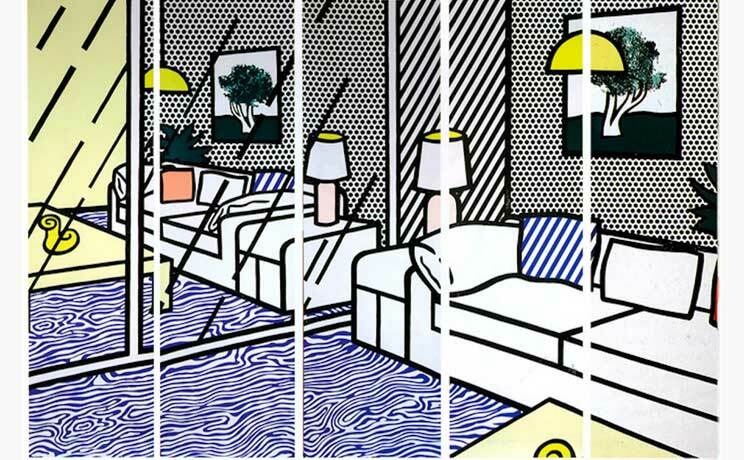 Lichtenstein used not only the imagery from these sources, but the appearance of commercial printing as well. Using the flat, single-color Ben-Day dots of a printed newspaper, the artist created paintings, prints, and sculptures. Favoring the comic strip as his main source of inspiration, Lichtenstein produced precise, hard-edged works that documented and poked fun at American culture. Lichtenstein and the Pop Art movement have continued to be influential of contemporary artists today, including Richard Prince, Jeff Koons, and Raymond Pettibon. 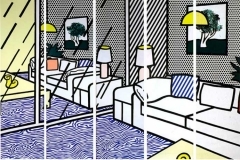 Lichtenstein’s work has been exhibited extensively around the world. His work is included in countless collections, including the Museum of Modern Art, National Gallery of Art, Art Institute of Chicago, Los Angeles County Museum of Art, Museum of Contemporary Art, San Francisco Museum of Modern Art, Museum of Fine Art Boston, Cranbrook Art Museum, Walker Art Center, Metropolitan Museum of Art, Whitney Museum of Art, Rhode Island School of Design Museum, Nasher Sculpture Center, Museum of Fine Arts Houston, Museum Ludwig, among countless others.